Corona Plaza Es Para Todos: Making a Dignified Public Space for Immigrants is a special publication of the Queens Museum that reflects on our involvement over the last 10 years in the programming and re-design of Corona Plaza, a public plaza in Corona, Queens. The publication reflects our desire to share our public programming and community engagement practices with other plaza programmers and managers throughout New York City, any cultural organization with an interest in developing programs for public space, and anyone interested in the conversation about public space programming in the context of neighborhoods with complex cultural ecologies. After many years of growing into our role at Corona Plaza, we began understanding our challenge more clearly: how can we substantively engage the many immigrant communities that live in Corona in co-creating a dignified public space for the neighborhood we share? Our reflections on that question are captured in this colorful story of Corona Plaza since 2006 through interviews and photo essays with key plaza stakeholders and community residents, and by ending each chapter with further questions that we thought would be useful for other plaza or public space managers. Chapter one is a profile of Corona as the quintessential NYC immigrant neighborhood. Chapter two is a reflection of the early history of QM’s programming and community engagement efforts in Corona, which set the foundation for our involvement in the plaza. Chapter three illuminates how we engaged with local partners and elected officials to respond to the emergence of the NYC DOT Plaza Program. Chapter four details our participatory programming methodology. Chapter five explains how we engaged the opportunity to be part of the re-design of the plaza. Chapter six serves to broaden the publication’s perspective on NYC’s public plazas through interviews with other plaza managers in NYC. Interviews with Mónica Avilés, Verónica Ramírez, and Neshi Galindo were conducted in Spanish and appear here in translation. 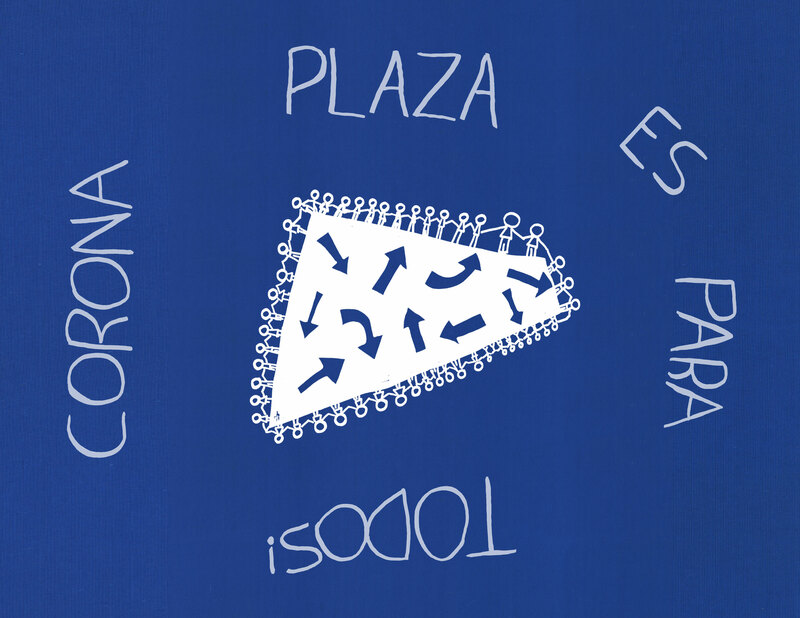 Corona Plaza Es Para Todos: Making a Dignified Public Space for Immigrants is funded by a grant from the Institute of Museum and Library Services, grant number (MA-04-12-0322-12). Corona Plaza programming is supported by grants from the Institute of Museum and Library Services, the Kresge Foundation, Surdna Foundation, the David Rockefeller Fund, and the Office of NYC Councilmember Julissa Ferreras. Additional support provided by the New York City Department of Cultural Affairs and New York State Council on the Arts with the support of Governor Andrew Cuomo and the New York State Legislature.